A biography of the game theorist John Forbes Nash. This book formed the basis of the Hollwood film. One of my all time favourite biographies. The mathematics of truth and beauty. An elegant study of the way mathematics can provide solutions to everyday problems. How the mind creates mathematics. 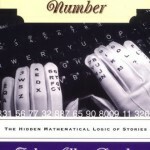 “Not a book about mathematics itself, but rather about how the brain deals with numbers”. “A thought-provoking investigation into the philosophy of mathematics”. The story of Paul Erdos and the search for mathematical truth. Perhaps my favourite biography of a mathematician. A lovely little book that provides a mini tour of many mathematical gems. 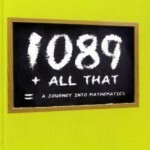 Discover the magic of 1089 and the mathematics behind the Indian rope trick. Paulos focuses on stories that revolve around mathematics. These stories provide an ideal environment for non-mathematicians to encounter mathematical ideas and examine them in comfort, without the fear usually associated with the subject. 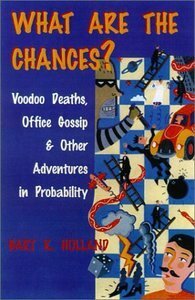 Take a trip into the world of probability, and the influences it may already be having in your everyday life. An exploration of the mathematics of chaos. A delve into the world of evolution and mind theory. An interesting and accessible account of current mathematical topics. Stewart uses a maze theme to explain the intricate connections between fields in popular mathematics, from game theory to knots to chaos. One of the best-loved authors of mathematics books. Gardner has collected articles from his 25-year old archive of Scientific American articles. The result is this amazing compendium. A collection of favourite puzzles and games. Some excellent games and riddles to lose yourself in. Another inspired collection of articles from Gardner’s Scientific American column. Gardner edited this critical appraisal of the children’s classic by L.F. Baum. Puzzles and anecdotes from the world of popular science. A compilation of some of the most amazing and infuriating games and riddles, created by one of America’s leading puzzle experts. A puzzle book that has lost none of its ingenuity in its translation from French to English. 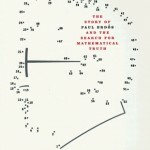 An interesting and accessible guide to some of the greatest mathematicians and the remarkable findings they have made. The second volume of the History of Greek Mathematics Guide. Last re-printed in 1908, this is an authoritative account of the history of mathematics. An interesting, accessible and thorough account. A study into the history of statistics. 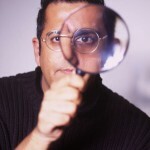 Paulos investigates and explains the hidden mathematics behind everyday media stories. A biography of the brilliant Indian mathematician Srinivasa Ramanujan. A very human and readable account of the study of chaos, from the science writer of the New York Times. Ifrah’s account of the history of numbers is an immense treasure trove of mathematical ideas dating back to the invention of numbers. An account of one of the simplest, yet most complicated of ideas in mathematics – the number zero. The E in question refers to the base for natural logarithms. Mathematician Moar turns every student’s nightmare into an enjoyable and interesting read. This is one of the first accounts of the never-ending number phi, also known as the Golden Ratio, a figure found throughout the laws of nature. A lively account of the number Pi, from leading cosmologist and science writer John Barrow. Barrow’s study on the impact of ‘nothing’ in the fields of cosmology, physics, mathematics and theology. An account of major mathematical accomplishments since the 1960’s. Devlin explains and investigates patterns in number sequences that have led to the further evolution of mathematical research. 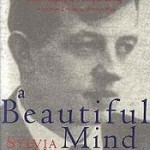 A poignant, moving book by the brilliant mathematician G.H. Hardy, as he grew older in ‘a young mans field’. An account of his life and his passion for mathematics. Davis and Hersh argue mathematics to be a combination of luck and guesswork, and should be thought of as a human, rather than a physical science. This classic fantasy novel published in 1880 explores a flat world where all the inhabitants live in two physical dimensions. The book follows a Flatlands dweller who shockingly discovers the existence of a third dimension. Also available to read online at Caltech. A funny, quirky and fascinating account of the history of Pi. Alongside Hypatia, Alic discusses the valuable contributions made by other female mathematicians and scientists throughout history. A clever, contemporary book about some of the mathematical theories that affect everyday life – from how to win ‘Who wants to be a Millionaire’ to how to write a hit song. By J. Wyndham, R. Eastaway, T. Rice. Another well written account of modern mathematical theory and its applications. Learn the Ham Sandwich Theorem, and how fast you should run in the rain to stay the driest. A fine mix of story-telling and mathematics, Tahan tells the tale of an Arabian man who dispenses his mathematical knowledge on his travels across the globe. A look at the theories involved in modern mathematics. A thorough and comprehensive listing of numbers from the square root of -1 to lucky numbers. A fascinating insight into the world of geometry. A dictionary of statistical quotations, from Shakespeare and Abraham Lincoln to eminent statisticians such as John Tukey. An invaluable guide to the language of mathematics. 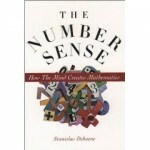 An excellent introductory text to a much misunderstood area of mathematics. A pocket-sized book on probability and statistics. A cautionary look at the application and misuse of statistics.